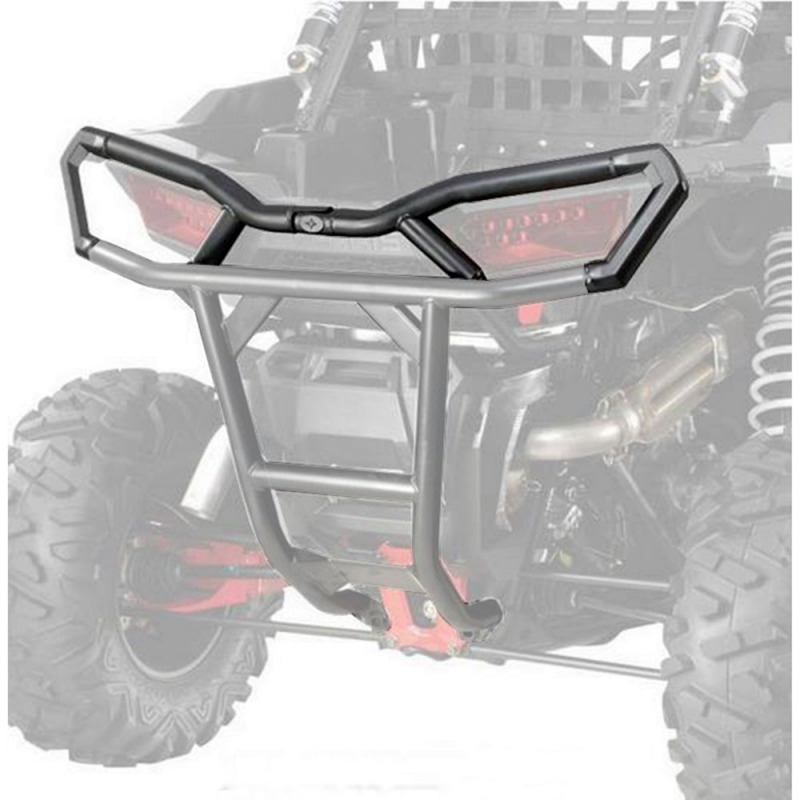 Enjoy maximum protection for the rear end of your RZR® XP 1000 power sports vehicle by adding this Extreme Rear Attachment to the Low Profile Rear Bumper (2879450-458; sold separately). 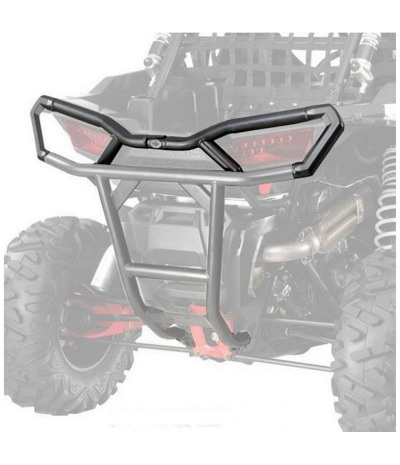 Enjoy maximum protection for the rear end of your RZR® XP 1000 power sports vehicle by adding this Extreme Rear Attachment to the Low Profile Rear Bumper (2879450-458; sold separately). 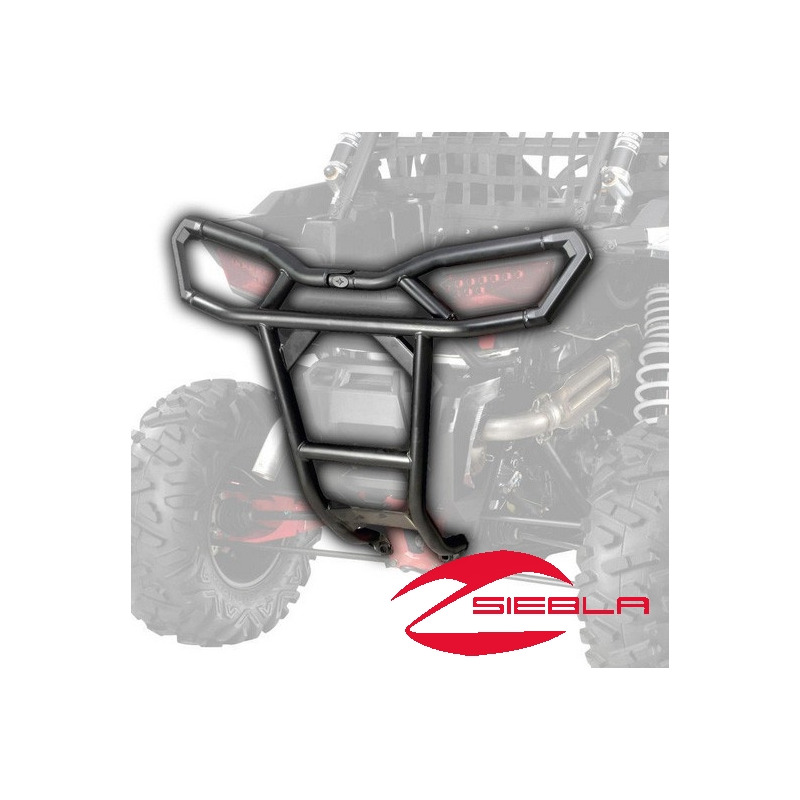 Using the Polaris® Lock & Ride® technology, the RZR® Extreme Rear Attachment installs in minutes atop the RZR® Rear Bumper and offers outstanding protection for the vehicle’s headlights and hood. It features strong, durable, 1 ¾” thick tube steel construction and has cast corners at the outer edges for optimized durability and style. 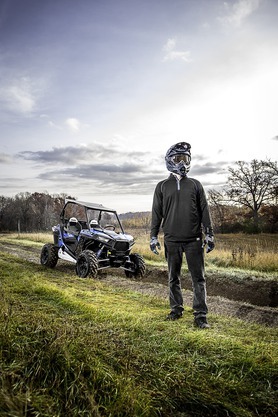 Its durable black wrinkle finish matches the finish of the vehicle’s stock framework and the Rear RZR® Bumper. Material: 1 ¾” thick tube steel. Installation: Lock & Ride® installation on the Low Profile Rear Bumper (2879450-458; sold separately). Includes: Extreme Rear Attachment and Lock & Ride® mounting hardware.